James Vince has punished a sloppy Brisbane with the Sydney Sixers romping to a 79-run Big Bash League win at the SCG. After being dropped twice by Brendan Doggett, Vince smashed a match-winning 75 off 46 balls on Sunday night as the home side posted 7-177, a total which proved far too big for the Heat. 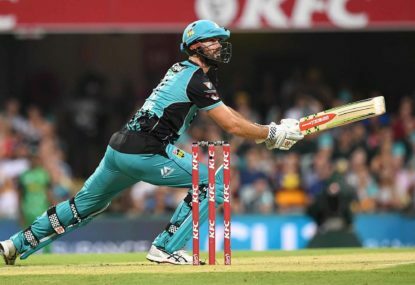 The Sixers broke a two-game losing streak, and jumped into second place on net run rate, as the Heat were bowled out for 98 in the 19th over in front of a crowd of 14,921. The run chase was as good as over after Max Bryant (0) and Chris Lynn (2) fell cheaply to have the Heat reeling at 2-16 in the fifth over. 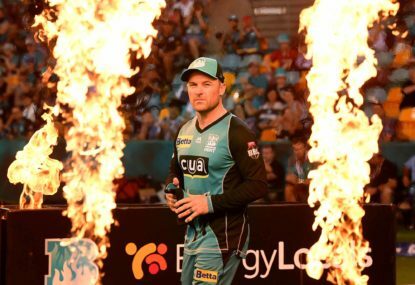 The dismissal of Lynn, who skied Sean Abbott to Jack Edwards, would have had Heat fans looking for ways to cut power to the SCG light towers – after an electricity grid failure saved their blushes last week’s clash with the Sydney Thunder. Highly-touted red-headed spinner Lloyd Pope – recalled after a couple of nervous showings in his two maiden BBL games – underlined his talent when he lured Jimmy Peirson out of his crease to have him stumped. The 19-year-old also collected the prized scalp of Brendan McCullum (27 off 31) to finish with 2-19. Earlier, the Sixers looked headed for a mediocre total before Vince and Jordan Silk hit the accelerator midway through their innings. Without his efforts, things could have been really ugly for the Heat. Australian great Mark Waugh savaged the Heat bowling attack during the Fox Sports broadcast, declaring: “They’ve bowled an absolute pile of rubbish tonight”. Vince described the win as a big two points considering the log-jam of sides around the top four. “I felt a bit scratchy through the middle there but I got a few out of the middle in the end, which was nice,” Vince said. The Heat had a 30-minute meeting in the dressing rooms after play as they go searching for answers. “We need to find our brand of cricket,” Lalor said. “We’re a side that prides ourselves on taking the game on, we’re probably being a little too timid at the moment. 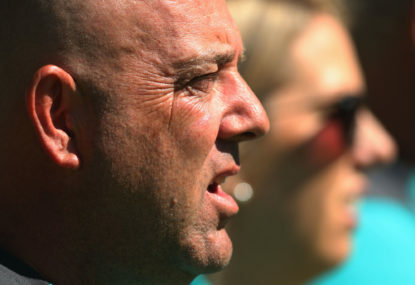 Former Australian coach Darren Lehmann has been announced as the new Brisbane Heat mentor, in what will be his first coaching appointment since the ball tampering scandal in South Africa last year. The Brisbane Heat have given their semi-final chances a major shot in the arm, with a ten-wicket win over the Melbourne Stars coming on the back of a brutal ten-over run chase from Ben Cutting and Max Bryant. Anyone who had the privilege to watch the Heat’s opening pair of Ben Cutting and Max Bryant slaughter the Melbourne Stars attack at the Gabba last night would find it hard to believe the carnage isn’t in the worlds top 71 biggest partnerships. 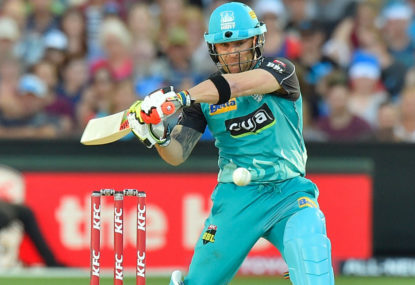 The BBL will lose a little more Bash as big-hitting veteran Brendon McCullum calls time on his Brisbane Heat career to start the transition into cricket’s coaching ranks. So much of the narrative around men’s sport is centred around the idea of a hero. 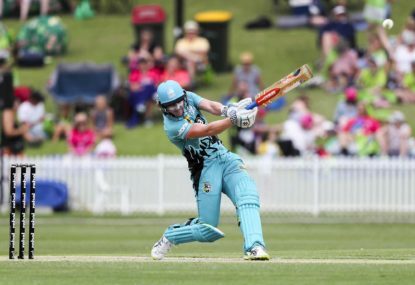 The Brisbane Heat have defied the odds to become the queens of Australia by taking out the Rebel Women’s Big Bash League Championship defeating the reigning champions, the Sydney Sixers, in incredible fashion at Drummoyne Oval.